For the purpose of strengthening the cooperative relationship with institutions and collecting information contributing to several IRCI projects including “Study of Legal Systems Related to Intangible Cultural Heritage in the Greater Mekong Region,” IRCI sent two researchers, Susan McIntyre-Tamwoy (Archaeological & Heritage Management Solutions) and Katie O’Rourke (Katie O’Rourke Consulting P/L) to Myanmar, Laos, and Thailand. 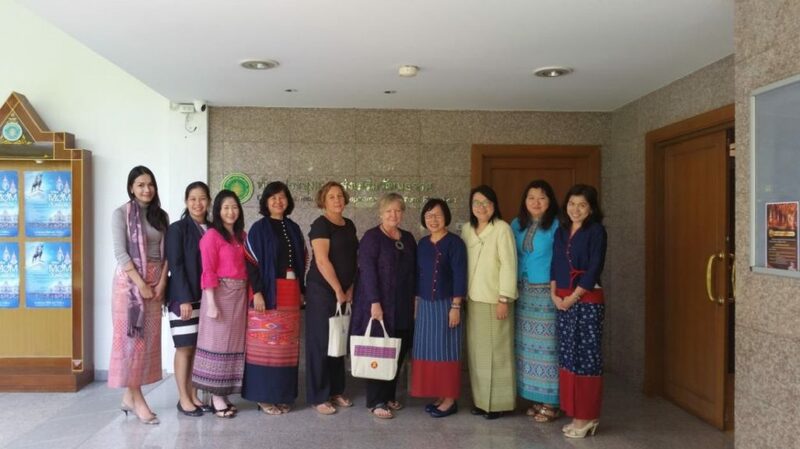 During 2-10 November 2015, they visited universities, heritage-related organisations and government sections in these three countries to discuss current legal conditions for ICH safeguarding based on the questionnaires that had been sent beforehand to these countries from IRCI. Interviewed organisations include: in Myanmar, Ministry of Culture; Yangon Heritage Trust; National Project Office to UNESCO Culture; in Laos, Lao Academy of Social Sciences; National University of Laos; Ministry of Information, Culture and Tourism; UNESCO Liaison Office; and in Thailand, Council of the State; Ministry of Culture.